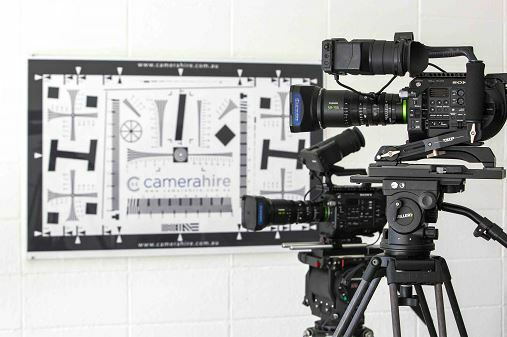 SYDNEY, 4 February 2019 – Successful Sydney-based rental house Camera Hire recently made the decision to significantly bolster their inventory by stocking and adding FUJIFILM’s clever FUJINON MK lenses to their rental fleet. FUJIFILM launched its MK series of cinema lenses specifically for consumer and prosumer videographers and emerging cinematographers. The MK18-55mm T2.9 standard zoom lens and MK50-135mm T2.9 telephoto zoom lens boast advanced optical performance an ultra-compact and lightweight design and excellent cost performance. FUJIFILM Australia Pty Ltd is one of over 280 worldwide subsidiaries owned by FUJIFILM Holdings Corporation which is the world's largest photographic and imaging company, and one of the best-known and most instantly recognisable global brands. In the Oceania region, Fuji Xerox and FUJIFILM NZ also form part of the corporate family owned by ultimate parent company, FUJIFILM Holdings Corporation. FUJIFILM Holdings Corporation brings innovative solutions to a broad range of global industries by leveraging its depth of knowledge and fundamental technologies derived from photographic film. Its proprietary core technologies contribute to the fields of healthcare, graphic systems, highly functional materials, optical devices, digital imaging and document products. These products and services are based on its extensive portfolio of chemical, mechanical, optical, electronic and imaging technologies. For the year ended March 31, 2018, the company had global revenues of $23.0 billion, at an exchange rate of 106 yen to the dollar. Fujifilm is committed to responsible environmental stewardship and good corporate citizenship.